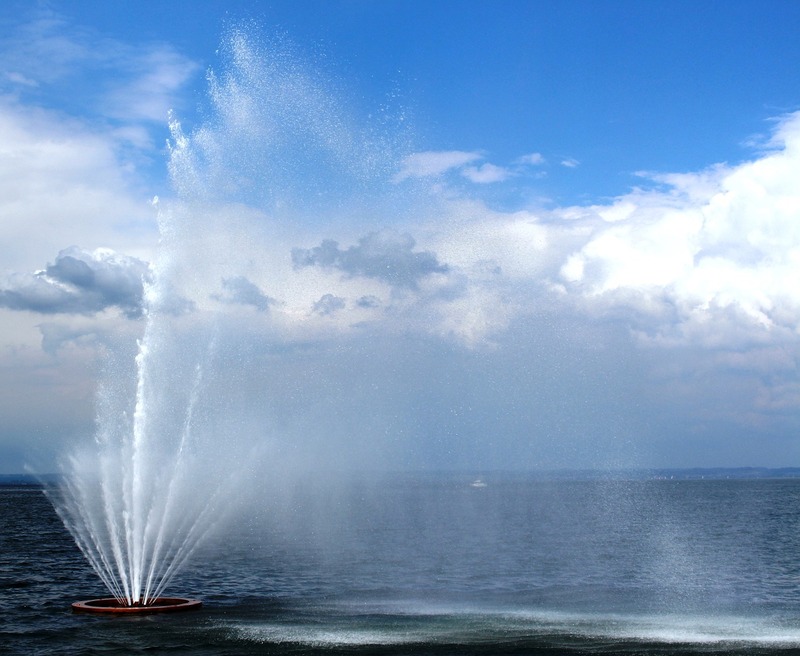 There’s nothing titchy about our lake. 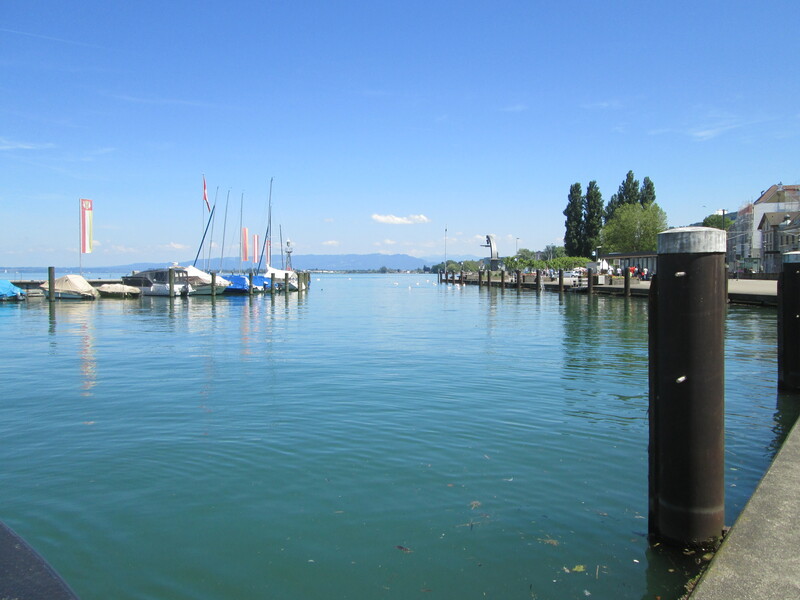 At 64km long and 12km wide, Lake Constance is one of the largest in Central Europe, covering an area of 536 square metres. And in the past few weeks it’s been getting bigger and bigger – the water level is over a metre higher than average for this time of year. 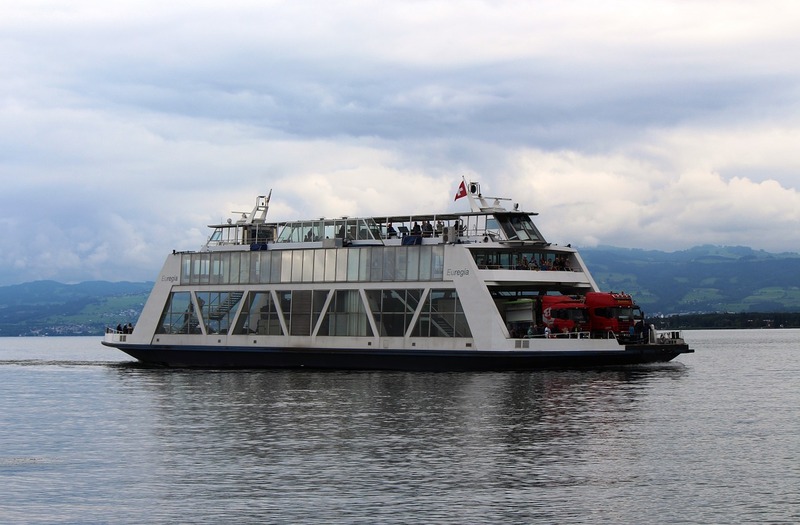 Above is one of the car ferries, which takes just under an hour to get from Romanshorn on the Swiss side to Friedreichshafen on the oppposite bank in Germany. 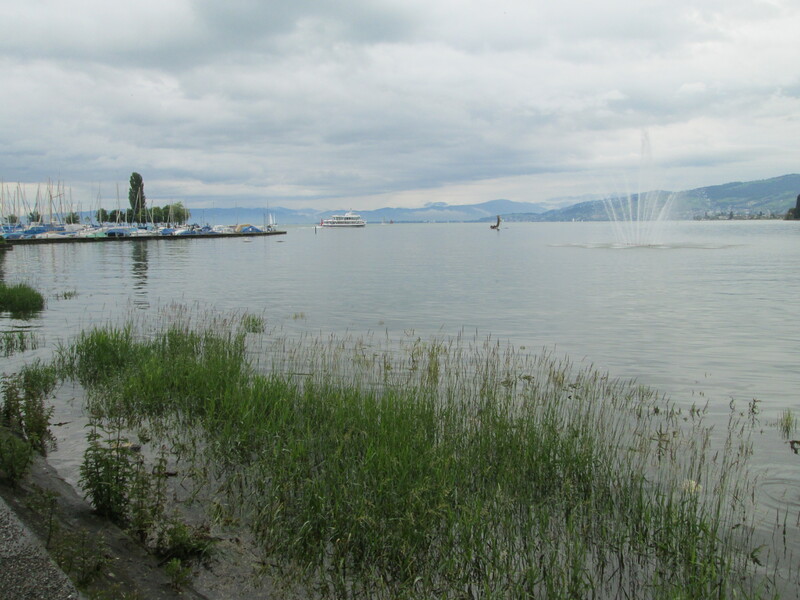 On the right is is the floods marker in Rorschach, just up the lake from us – you can see the mark for 1999 third up on the right. 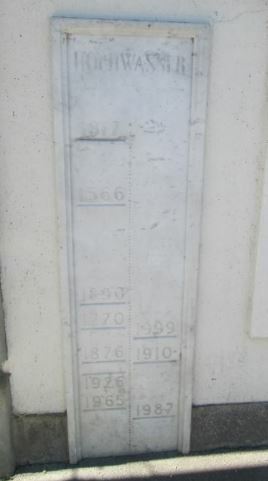 I don’t think we’ll have flooding this year, unless we have a spectacularly bad summer, but the current high levels make for interesting viewing. 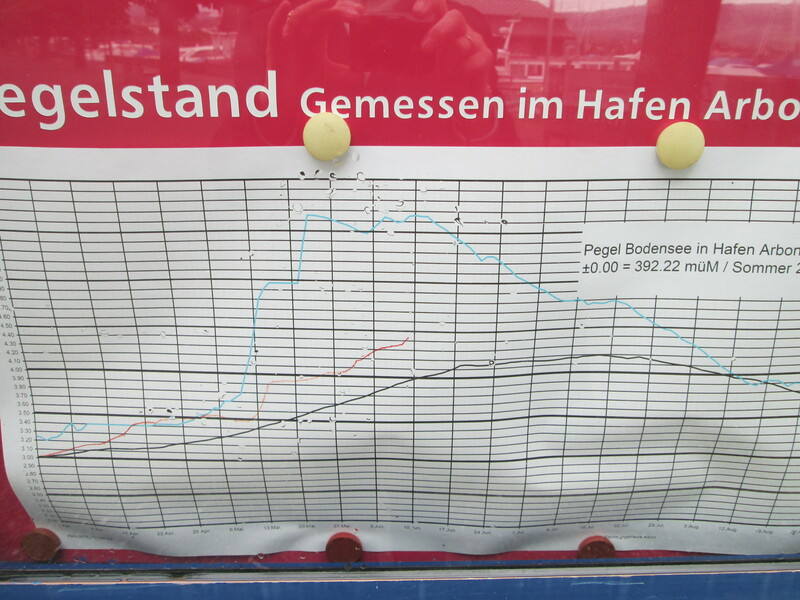 Half the population of our town, Arbon, can be met at any one time down at the harbour, peering at this graph, which is updated daily. The black line is the average level, which increases from end May onwards due to the snow in the mountains melting and coming down; the blue one is 1999, when we had serious flooding. The red is this year’s. Lots of water. 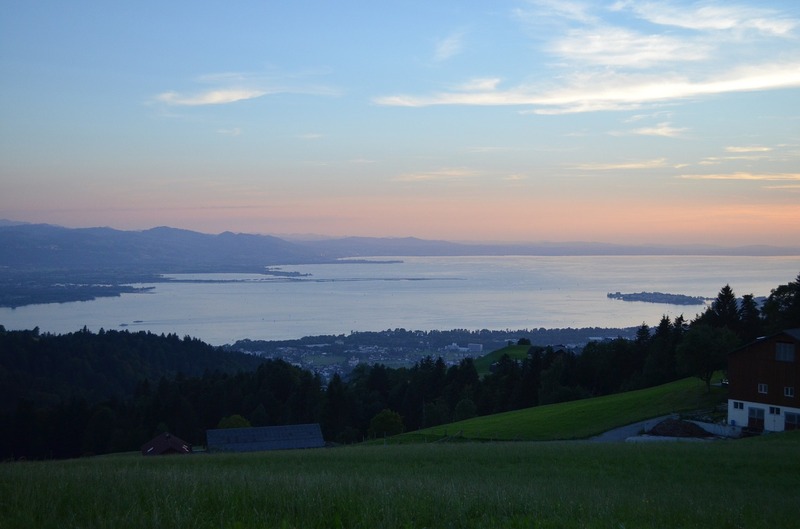 To finish off, one of the best photos I’ve ever seen of our lake. I just hope we eventually get some sunshine to enjoy it this summer! 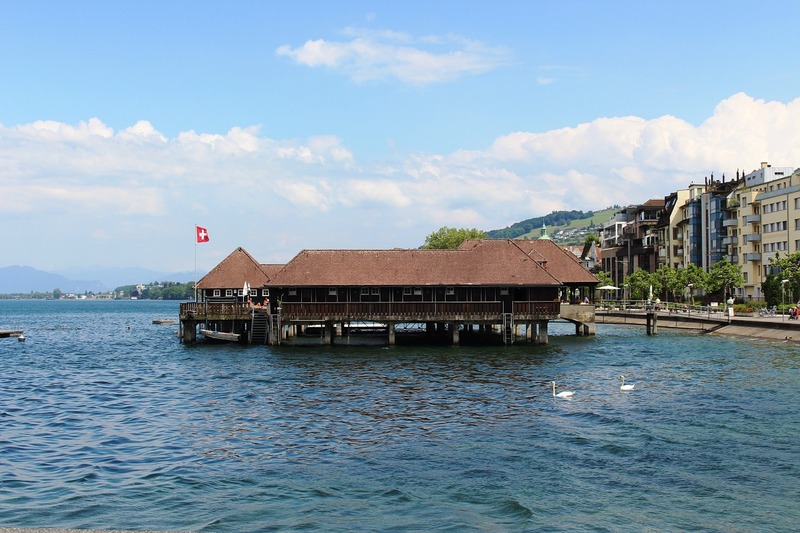 This entry was posted in Life in Switzerland and tagged Arbon, Austria, floods, Friedreichshafen, Germany, Lake Constance, rain, Switzerland, weather. Bookmark the permalink.